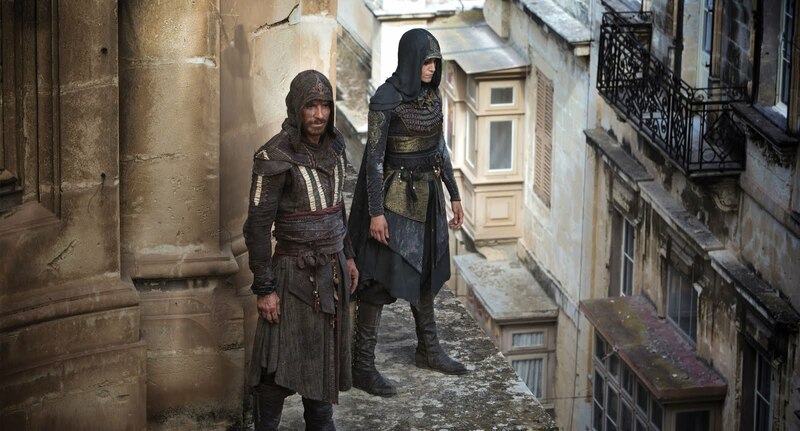 Alien Tower: Was Assassin's Creed worth a movie adaptation? Was Assassin's Creed worth a movie adaptation? It took me more than a week to wrap my head around this movie. People have been saying since the Mario Bros movie flopped terribly that there can't be any great video game to movie adaptation. They kinda said the same thing about comic book movies. This is not Ubisoft's first endeavor into the movie making business, mostly making short features that tied in with some of their games. 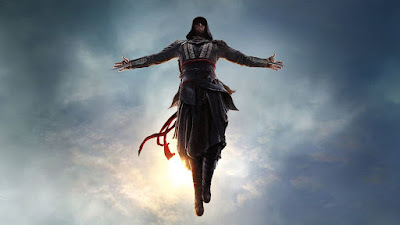 And they did have a love for Assassin's Creed before, with Assassin's Creed Lineage telling the story of Ezio's father, and a short animated story about an old Ezio trying to leave his past behind. This time, Ubisoft is making a big budget flick with big name actors and a big production company like New Regency in an attempt to reconstruct a beautiful setting filled with historical events. Except you don't get to roam and discover it on your own nor do you get to choose how the protagonist tackles the mission. Like any other video game movie, we need to accept that our only input is to sit down and watch the 2 hour long cutscene. Before I answer the question in the title, let's weigh the good and the bad first and see if Assassin's Creed is among the good video game movies or the sucky ones. There's a good setting that hasn't been explored in the video games before, Spain around the time of the Spanish Inquisition. 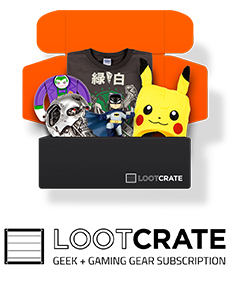 This is, no doubt, the standout element of the popular game franchise. 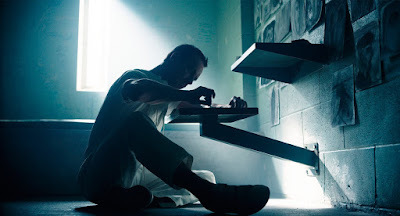 The modern day is set for the most part of the movie in Madrid, Spain, although unfortunately we're confined alongside outr protagonist Callum Lynch (played by Michael Fassbender) inside the walls of some prison-like facility owned by Abstergo. We see wide shots of Madrid, but that's all. It's okay, because the video games do about the same thing with the modern setting. 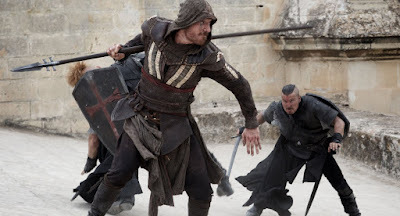 The Animus part (the past memory of the protagonist's ancestor) takes place in several Spanish locations, including Granada and Andalusia, and our assassin protagonist, Aguilar de Nerha (played by Michael Fassbender) and his partner in crimes, Maria (wonderfully played by Ariane Labed), even meet some historical figures along the way. 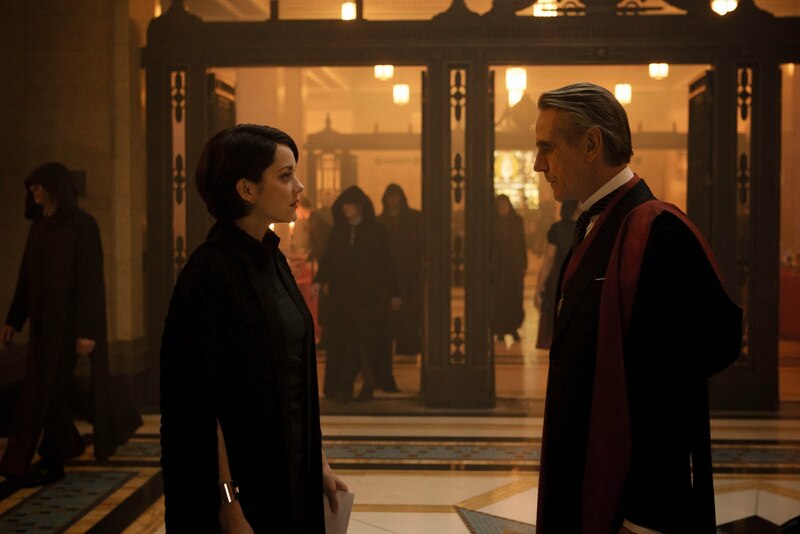 They spent no expense to bring together one amazing cast of actors, among them: Jeremy Irons as the big chief of Abstergo, Brian Gleeson as the Callum's father, the amazing Charlotte Rampling as the Templar boss, Marion Cotillard, who has the best performance in the movie, playing what I think is the inventor of the Animus, and Michael K. Williams as a prisoner assassin, descendant of Baptiste from Assassin's Creed: Liberation. And there are very good performances all around. Aguilar is an awesome assassin and I would like to see more of him. But... you might not share my opinion. Most people who have played Assassin's Creed games hold a high regard for Ezio, but I am more of an Altair guy. While Ezio was a very charismatic and witty murderer, Altair was the very definition of an assassin. Stern, focused and a man of few words. That's Aguilar too. A brutal and very efficient assassin, but not without humanity, weaknesses and flaws. Kinda like this movie. Awesome fights and choreography, at least for the most part. To be fair, I'll ad the one exciting chase scene to this plus. The templars are about to burn Aguilar and Maria on the stake, when all hell breaks loose and they end up getting chased across rooftops and through buildings, fighting their way through with whatever they get their hands on. That's the best scene of the movie and probably why the movie was made in the first place. An original design for the Animus. In the video games, as we all know... the Animus has had many designs and redesigns, from comfy chairs to a weird looking bed, ending up to just a VR headset. In this movie, they took it in a different direction and made it into a huge arm that holds the subject by the waist and waves him in the air like it just don't care. You can see the problem with that already, in reality it wouldn't be able to keep a human straight, it would break every bone it the body. But if you can keep your suspension of disbelief you'll see how it makes sense in a movie where this makes the Animus itself a dynamic mechanism, not just a chair in which Fassbender can slack off. I liked the story. Maybe it wasn't very well told, but the story is simple and it's ultimately simple to follow and understand even for those who know nothing of video games. As an observation, I said before that Marion Cotillard's character is the lead scientist who made the Animus, but I'm not really sure if this is an origins story or... strongly tied to the games, I can't be bothered to search. If that later, she might be just the creator of this particular type of Animus, since they specify that the year is 2016 and we know that Desmond Miles saved the Earth in 2012 by sacrificing himself. Seriously! Nice ending. It wasn't as emotional as the director wanted it to be, since I felt completely disconnected around that point, but it was on par with the games. A powerful scene to show that the assassins are not to mess with. Awesome leaps of faith and I actually like that they didn't show the assassins land in a haystack, since in real life it would be more than just painful. I'm really not a fan of this movie's visuals. The modern setting is gray and drab, while the historical settings are muddy and brown. They could have used a few more colors on the screen. There's also a lot of dust and smoke at times, it looks terrible. The special effects could have been given a bit more work. I've seen the same effect in Assassin's Creed Lineage, a mix between composions and computer graphics imagery that look most of the time very obvious and distracting. There's one action scene in which the assassins fight templars on a high speed chase of horses and carts and most of it is just a blurry, incoherent mess. Terrible editing and filming. What's with directors and movie makers today not able or without patience to film a fluid long scene or to pan into a wider shot so we can tell what the hell is going on? While the historical scenes are slightly more coherent, even though there are scenes of Callum on the Animus spliced with whatever Aguilar was doing and that's awfully distracting, the last fight scene in the Abstergo facility is a butchered mess of slides. Seriously, if you suffer from epilepsy you won't have a good time. A forgettable protagonist. Callum is the opposite of aguilar, a bland and uncharismatic bloke who relishes in his violent nature. It's not Michael Fassbender's fault, it's the way the character was written. I can't remember one thing he said in the movie, while I didn't need to know what Aguilar had to say. Aguilar could've worked even as a mute, while Callum has some of the most boring arrogant lines I've ever had to listen to. Oh, I remember Fassbender singing Willie Nelson's Crazy as a last resort to twart the Animus. It worked. Very cringey, but it worked. There's nothing notable or memorable about the music. Music is very important to the Assassin's Creed franchise, with amazing sundtracks by danish composer Jesper Kid and Hollywood musician Brian Tyler, while for the movie they got aussie composer Jed Kurzel. I'm not saying he's not talented, I'm just saying I don't remember the sondtrack at all. The movie is poorly written, maybe even hastily, the production was clearly rushed and that's not something you want when you're counting on it to be a strong franchise of movies too. Really, they ended the movie in a sort of "I'll get you next time!" scene. You know, I was a dumb kid trying to do dumb tricks with my bike too, but I've never seen any Templar trying to strap me to a robot arm and shove me in an educational Matrix. Again with the damn Apple of Eden! Will we ever stop searching for that maguffin? In conclusion, the movie is strictly supervised by people at Ubisoft who know what the games have been all about so far. Aside from the redesigned but original Animus, the story and action seems pretty on par with the games, if only abridged, as it's natural. I'm not really sure if this movie would have been better if it wasn't based on a video game series and if it had an original script. The games are mostly about a historical location as a wonderful sandbox in which you can stab people and (sometimes) plan assassinations that kinda tie with historical events. It's a crazy premise. What I do alot when playing Assassin's Creed is run around every corner of the map and hunt for collectibles. Sure, the movie could have taken a bit of time to show us some serene moments, but it was too busy with stabbing people and a few beautiful Bleeding Effect scenes. It's not the best video game movie, but it's not bad either. It's enjoyable, although it could've been better. Video game movies are certainly on a good path to winning an Oscar someday, if that's what you're hoping for. If you want my opinion, you should give this movie a chance if only for some cool action scenes and good performances. So, YES, it was worth it!